Wu Zi Xu（伍子胥） was a famous military general of the state Wu during the Spring and Autumn Period in China. Wu Zi Xu was the second son of Wu She (伍奢), the royal tutor of the crown prince Jian of the state of Chu (楚). 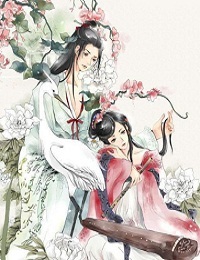 In 522, the King Ping of Chu (楚) received a princess from Qin (秦) as a bride for his son, but decided to keep her for himself upon seeing her beauty. Fei Wu Ji, a corrupt official, convinced King Ping that this action would lead to Wu She's rebellion and persuaded the monarch to execute him. Before his death, Wu She was forced under duress to send a letter to his sons, Wu Shang (伍尚) and Wu Zi Xu, that asked them to join him in capital. While both realized that this was a trap, Wu Shang decided to go to the capital to die with his father. Wu Zi Xu, promising revenge, fled the country. Wu Zi Xu hoped to flee to the state of Wu. Wu Zi Xu, however, was a wanted man. He were constantly pursued by soldiers. King Ping also ordered a very tight border control in hopes of catching Wu Zi Xu. 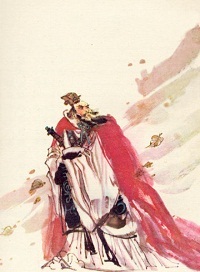 As Wu Zi Xu approached Zhaoguan (昭关), the last pass to state of Wu (吳), he was caught by a team of soldiers. Wu Zi Xu said to the leader:" Do you know why the king wants me?" "No, but I know the king will give me a good reward for catching you." the junior officer said. "You know nothing. The king wants me because he wants my precious pearl. But I had already lost it, so I have to run. If you present me to the king, I'll tell him you steal my pearl and swallow it. To get the pearl, the king will definitely cut open the belly." Scared by Wu Xi Xu's words, the officer let him go right away. In the state of Wu, Wu Zi Xu found favor with crown prince Guang (光) and served him until the prince ascended the throne as King He Lu. Wu Zi Xu was appointed to a high ranking government position and in 506, he defeated Chu's army and conquered its capital. After entering the city, Wu Zi Xu sought out King Ping's grave, which had been hidden. The last surviving tomb builder (the rest were supposedly killed after the tomb's construction so the location would remain a secret) reached out to Wu Zi Xu and revealed to him that the tomb was at the bottom of a lake. Wu Zi Xu ordered the draining of the lake, exhumed the King's corpse, and gave it to 300 lashes to exact vengeance.